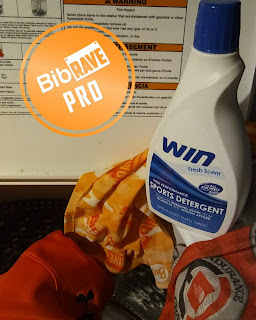 Disclaimer: I received WIN Sports Detergent to review as part of being a BibRave Pro. Learn more about becoming a BibRave Pro (ambassador), and check out BibRave.com to review find and write race reviews! If your household is anything like mine, you’re told somewhat frequently by your wife that your feet are gross and that you stink. And I’m talking stink in a literal sense here. Well, there’s not much I can do about my feet being gross. I have every intention to continue to run ultras which will most likely mean that I’m going to continue to have missing toenails and black blood blisters under some of the toenails that remain. Which, in my wife’s opinion, is gross. In an effort to compromise, I could going forward quit making videos of my kids pulling off my toenails, but they just seem to enjoy it so much that I would feel terrible to deprive them of that! So the gross feet thing is probably here to stay. 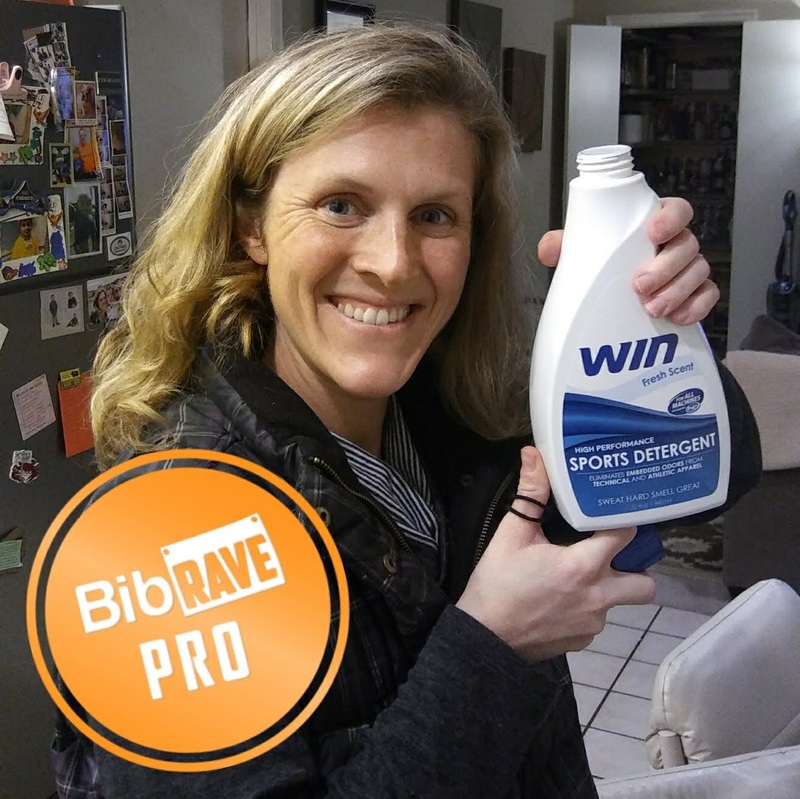 Thankfully I now have the option to do something about the stank I bring to the table with the help of WIN Sports Detergent! I’m not going to lie, I like to run and I like to run far. That means getting in long runs in hot weather. This tends to lead to sweating. Sweating for hours on end in some cases. I can speak from experience that after a certain amount of time of running and sweating the effectiveness of deodorant tends to decrease. I don’t mind it so much as I’m usually running by myself outdoors where no one else has to smell me and I become acclimated to my BO as it gets worse over the course of a long run. However, my family is not so fortunate. I get home exhausted and happy only to be yelled at by my four year old son “Daddy! You stink! Go take a shower!” My wife complains of how she has to wash my running clothes separately from all the other laundry to avoid contaminating the rest of the wash with my stench. What is one to do about the rank odor of ultrarunning? Well, I’ve been lucky enough to be provided the opportunity to test out WIN Sports Detergent as BibRave Pro and thus far I’m very pleased by the results. See how happy it makes my wife?! 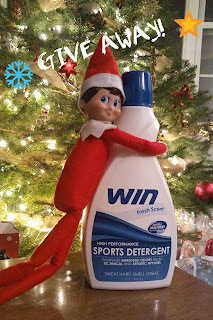 WIN Sports Detergent removes sweat, oils, bacteria, and salts from active clothing and in the process also removes the unattractive smells as well. WIN was designed to separate oils from the synthetic materials that activewear is made from while standard everyday use detergents are more generalized for cleaning a variety of fabric types. WIN was also designed to restore elasticity to activewear materials. I can’t say I’ve noticed a rebound in the elasticity of my activewear, but the improvement in scent is quite noticeable. I’m happy about it, but I’d say that my wife’s happiness about it is far greater! You can try WIN Sports Detergent out for yourself and use “RAVE4WIN” to get 20% off any WIN purchase (individual bottle, 2-pack, or 4-pack). Offer is good through 1/15/19. Limit one use per household. Also, if you’re feeling lucky you can win yourself a bottle of WIN (normal or fragrance free). Just go to my Instagram or Twitter sweepstakes posts. Like the post and tag a friend in the comments to enter. Hit both to double your chances! The winner’s shipping address must be in the lower 48 of the United States to be eligible. Entries accepted through 12/30/18.